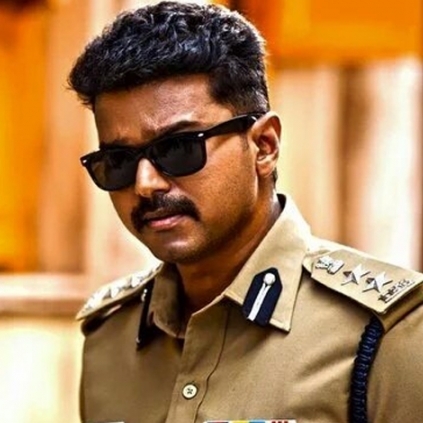 Vijay’s most awaited film Theri is gearing up for a grand release on April 14th. Cine Galaxy Inc., one of the leading distributors of Indian cinema overseas has planned a mega release for the film with special premieres on April 13th. Cine Galaxy Inc., which has earlier associated with superhit Telugu films like Manam, Bhale Bhale Magadivoi and Nannaku Prematho among several others will be associating with this Vijay starrer. It must be noted that they will be releasing Superstar Rajinikanth’s Kabali and Suriya’s 24 as well. CineGalaxy has also announced a special discount of 5$ on purchasing 2 Theri tickets. Promo code - 5OFFCINEGALAXY. Use this promo code in fandango mobile app and avail your 5% discount. Premieres are Confirmed on April 13, Wednesday; Most Premieres Start at 8 pm & few starts early; Check theater websites.